Cutting edge innovation technology is not at all impossible nowadays; it is actually a fun and part of daily life. Let’s see the top Technology Trends for 2018 This easy star would first Holographic Smartphones. When we are looking at our smartphone, the camera will quickly track our eye movement. The tracking data is sent to our on the chip signal processing unit. It is quickly processed by our eye tracking system which will lock onto where our eyes are looking. This is very important, our eye-tracking system will adjust the hologram generated based on where your eyes are looking and you will immediately see the holographic effect. 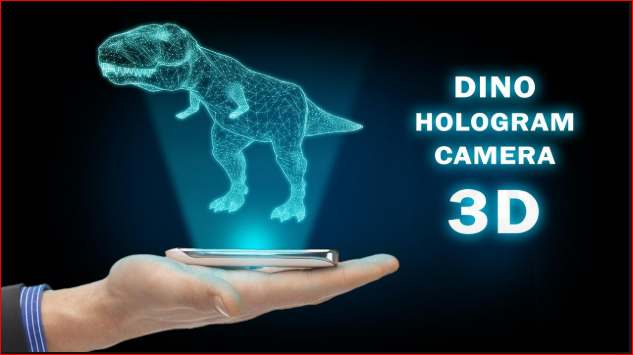 This is the world’s first holographic smartphone with our pioneering eye-tracking technology, an innovation dedicated to the smartphone application, we call it Smart Holographic. 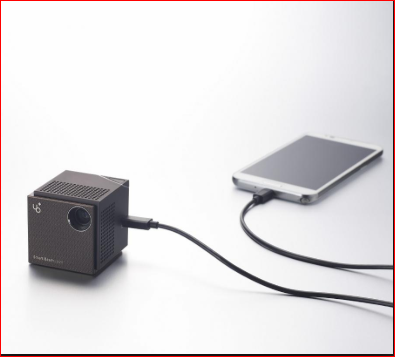 You will find four cameras on a holographic phone, a perfect air interface, the dual lens camera on the back is not just for taking holographic images but is designed to collect and process holographic data. 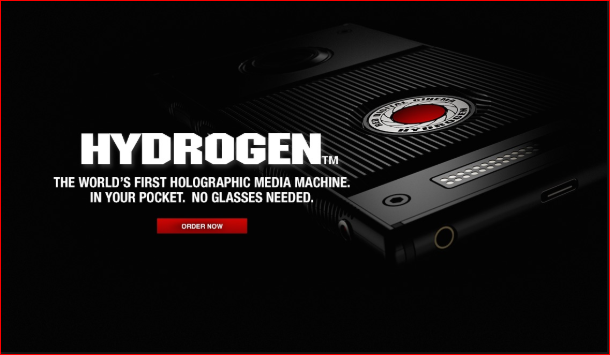 So, what is the benefit of such an innovative holographic smartphone can be to us? No more dizziness or narrow viewing angles when watching isn’t really a truly immersive way to watch videos in 3D. Because of game playing it is more fun and thrilling part and distance problem has also been overcome. Lifelike product displays for online shopping. Complex traffic signals become easy to navigate; education is no longer boring but fun and lively, anytime and anywhere, 3D scanning and printer. Will this just a beginning, East Hour, will continue to create new technologies for holographic applications to make the impossible possible and create better lives. Smart Beam, a grand and spectacular screen images from a tiny cube, is an incredibly simple to use kind of personal projector that connects with your devices. Just press the power button on the right, connect it to your smartphone and you are all ready to go. Smart beam automatically traces a video from smartphone and projects it on the screen through the lens in front. The incredible value of smart beam powered by decent design and smart features realized by technology is a 4.5centimeters on all dimensions and 129 grams. This ultra-light device boasts incredible brightness of up to 35 ANSI lumins amazing color representations enabled by DLP technology as well as a battery that lasts for two hours and a screen that expands up to 100 inches depending on your comfortable distance with the smart design honoured at the 2013 IF awards perfected by an aluminium finish, smart beam easily project images on the wall or the ceiling without an additional support. The joy of viewing your favourite content on a large, anywhere and anytime along with educational materials for your kids as well as movies, games, books, video chatting, internet surfing and more. 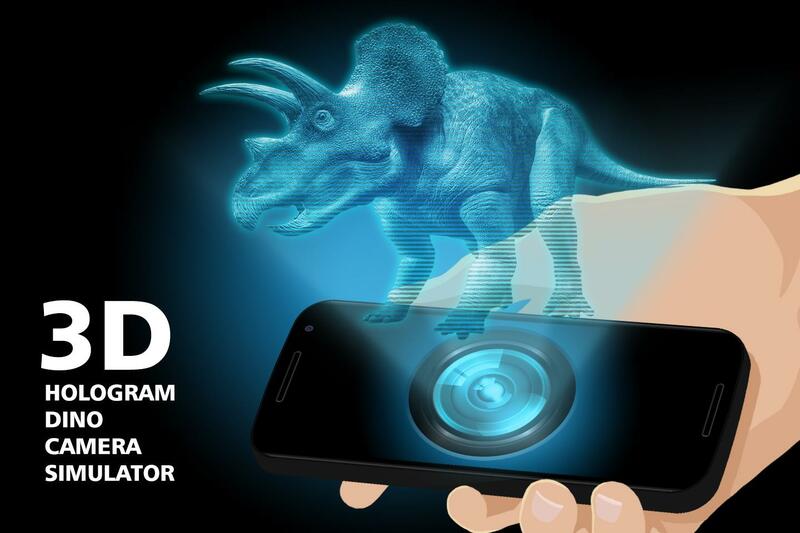 It experiences multimedia contents in your smartphone with the smart beam, making your smart imagination into a reality that is smart beam for you. Writing on the road can to often be dangerous, sometimes even deadly. With our phones always in reach distracted driving is more common than ever but now you can use your mobile device to help protect yourself from drivers who are all phones. The Lane Sight system, you can focus on the road ahead because we have got your back as you ride lane sights patented rear camera system scans the road behind you detecting approaching cars. 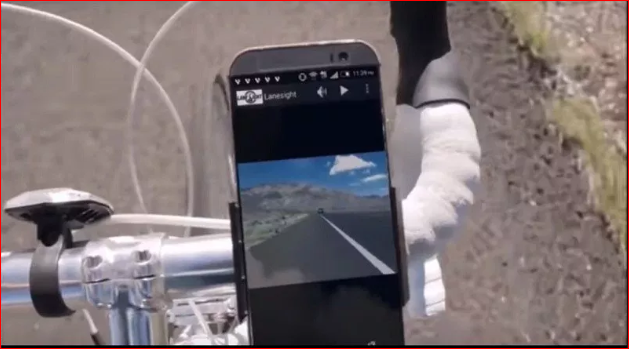 Once the vehicle is detected, the system sends a flashing alert to the driver behind you and an audible alert to your Android device scan it’s securely on the handlebars. As the vehicle approaches, the system tracks and alerts increase in frequency, more frequent alerts help draw the drivers attention and warn you that the vehicle is getting closer, giving you plenty of time to move over. 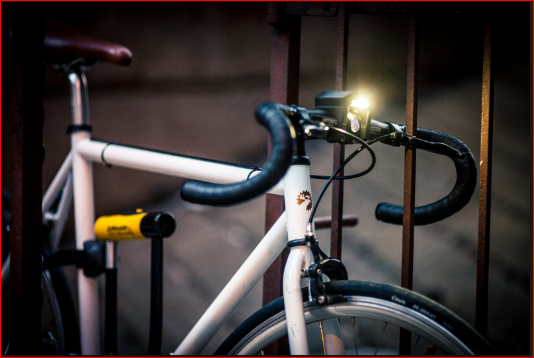 As vehicles pass lane sites ultrasonic lateral distance sensor will detect the distance between your bicycle and the cars, providing another indicator of vehicles proximity to you. The rear camera will capture video and save it to the device along with the lateral distance data in case the vehicle gets too close. The lane sight system improves safety for all cyclists whether you are training for a competition or out for a run family ride. Have you ever had your favourite piece of clothing hopelessly, spoiled by washing? Washing can be a real pain, especially, when you need to deal with delicate and hand wash only clothing and it gets even more frustrating when you are on the move. Introducing a Smart Tailor, it isn’t just a bike accessory; in fact, it is not meant to be removed after each ride. It installs permanently on your handlebar and pairs with your smartphone to turn your bike into a smart bunch providing a biking experience like no other. Smart halos design philosophy has always been centered on simplicity, biking in cities can be a challenge so it is made sure that our device is simple yet smart. Smart halos find the quickest, safest routes and bike paths for you to make your ride a stress-free experience. Just input the destination in our app, tuck your phone safely in your pocket and let’s run halo take care of the rest. The unique circular interface allows us to show every type of turn, the second option also our light patterns warn you in advance of an infinite turn so you get plenty of time to plan your next move. As soon as you start riding, smart halos track your bike metrics, your time, distance, average speed, the calories you have burned as well as your total elevation. You don’t need to take your phone out of your body. Smart halo is also equipped with a smart night light that turns automatically when it is dark and shuts off on its own when you are done. Smart halo will notify you of incoming calls or text messages with the additional personal assistant feature right on your handlebar. Have you ever had your favourite piece of clothing hopelessly, spoiled by washing? Washing can be a real pain, especially, when you need to deal with delicate and hand wash only clothing and it gets even more frustrating when you are on the move. Meet Dolfi, the world’s smallest washing device that cleans your clothes with the power of ultrasonic technology. Dolfi is just the size of a smartphone perfectly portable to fit in any bathroom or travel luggage using advanced ultrasonic cleaning technology. Even cleans the most delicate fabrics without damaging or discolouring ever, no rubbing, no whirling, or stretching, no fading colours, no wearing off. Your favourites will be thoroughly and carefully cleaned from the inside of the fabric fibres by the power of ultrasound. The process efficiently removes dirt and odors, making your clothing ultra fresh. 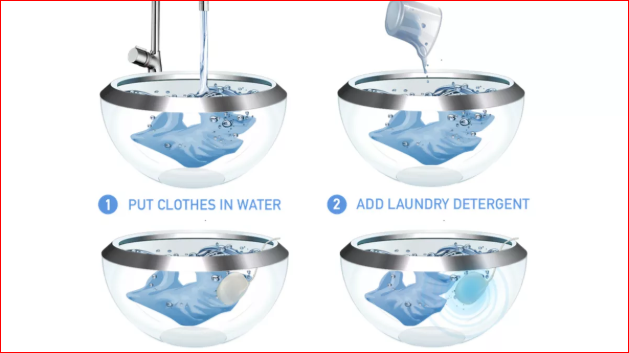 The working is amazingly simple by just putting your cloth in any sink or waterproof container, add water, detergent put Dolfi inside, then switch the device on and enjoy your free time. You will see Dolfi glowing blue as it softly cleans your cloth. It works like magic, after about 30 minutes your clothes are clean and fresh, rinse them and hang them out to dry and slip again into your favourites. Dolfi’s innovative technology has been developed and tested by MPI ultrasonics engineering laboratories in Switzerland. Dolfi is great for your personals, silk, lace, cashmere everything that you would normally hesitate to throw into a washing machine.